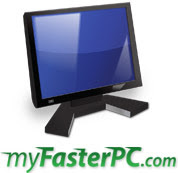 Clean and Speed Up Your Computer with My Faster PC 6 - ConsumerSoft releases version 6.0 of their popular PC utility. ConsumerSoft announced the release of My Faster PC 6, the latest version of their popular PC utility software. The new version of My Faster PC includes an enhanced Disk Cleaner that integrates features from the company’s popular Flash Cookie Cleaner and Broken Shortcut Fixer. The program also includes My Defragmenter, a stand-alone defrag component that can be automated for regular repairs. The program also has an updated interface and support for Windows 7 and 64-bit systems. Kupa is Showing Off X11, the Latest Windows Based Pen + Touch Tablet Computer at the IFA Consumer Electronics Trade Show in Berlin, Germany from Sept. 2nd to Sept. 7th - Kupa is showing off X11, the latest Windows based pen + touch, 10 hour battery life, 128 GB SSD tablet computer at the IFA Consumer Electronics trade show in Berlin, Germany from Sep 2nd to Sep 7th. 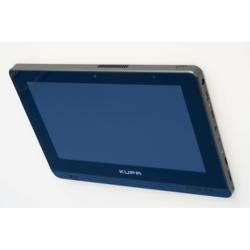 Visit Kupa representative at the trade show to test out the latest advances in tablet PC technology. There will be X11 units available at the event for user to test out features, and check out the build. Kupa representatives will be there to answer any questions users may have. The IFA consumer electronic trade show is the global trade show for consumer electronics and home appliances, presents the latest products and innovations in the heart of Europe‘s most important regional market. IFA offers such a comprehensive overview of the international market and attracts the attention of trade visitors each year from more than 100 countries and Kupa is proud to be part of it. GamerModz Develops New Rapid Fire Technology for Xbox 360 Modded Controller for the Gaming Industry - GamerModz is the leading modding company in the gaming market that brings innovations by creating mods for the Xbox 360 Controllers giving you the competitive advantage. You can always find the best modded controllers from the oldest and original modded controller company. Gone are the days of a single mode Rapid Fire controller working for every game and every weapon. Even the days of multi-mode (or multi-speed) Rapid Fire modded controllers have become limited in their functionality. The good news is that the most innovative controller modding company in the world has responded to the gaming industry with a technology that is un-matched. With the on-going evolution of video games, their consoles and controllers, developers are trying to keep the playing field level by blocking the use of modded controllers. The unfortunate wall they continually run in to is that by limiting the advantage of Rapid Fire, or any modded controller, they effectively limit a gamer’s ability to excel in their abilities. Game developers have tried to patch Rapid Fire by detecting the various ways it is done and limiting firing rates until a new game is started. This did not work out well because gamer’s that were not using Rapid Fire were being limited because they could pull the trigger quite fast. Since then, the new attempts to rid Rapid Fire modded controllers from use, was to take advantage of their inability to adapt to different speeds. All other companies continued to just change the statically assigned speeds of their multi-mode (or multi-speed) Rapid Fire mods. The downfall to this is past compatibility, future compatibility and the lack of ability to adapt to the different speeds of different weapons. ClamCase® Limited Edition Trooper iPad Keyboard Case Arrives - ClamCase® - the all-in-one keyboard case and stand for iPad launches it’s first release from the limited edition inspired series. As a result of its polished design and plethora of functions, the iPad is one of the most coveted tech-gadgets on the market today. ClamCase believes your case should not only match the world-class design, but be equally effective both adding efficiency and unparalleled protection. Marking the launch of the “Inspired Series" by ClamCase, The Trooper offers all the functionality of the ClamCase all-in-one keyboard case and stand, but with an added aesthetic touch. This inaugural edition delivers the first white hard-shelled keyboard case to the market, making it the perfect complement to the white iPad 2. The Trooper features a black hinge, keyboard, base and ergonomic rubber feet, providing an intergalactic contrast to the imperial white protective case. Customers will enjoy the high-quality polished finish of the latest ClamCase, with the iPad armor looking as sleek as its durability protects. The Trooper, along with future items in this series, will be limited in number and perfect for any collector or fan. The Trooper follows on the success of the recent ClamCase for iPad 2 launch. The updated version builds on the features that made the original ClamCase an instant global success. ClamCase for iPad 2 has been designed with an all-new light and updated design, and has quickly become one of the most popular cases in the industry. Headphones.com Releases Top 10 Back to School Headphone Picks - Go back to school in style with these great headphones from Headphones.com. Featuring items from Soul by Ludacris, Nixon, Beats by Dre and more. The new school year is almost here and Headphones.com wants to help students go back on campus in style and with great sounding headphones. 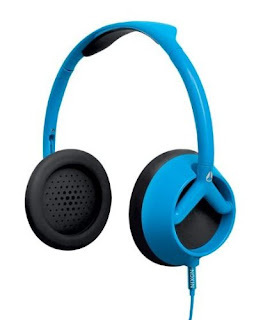 Check out the great suggestions below and visit the Headphones.com Back to School Top 10 for more great back to school styles. Nixon Trooper - This headphone has it all; style, function and quality make this headphone a winner for everyone heading back to school. The rubberized silicone construction is durable enough to take daily abuse on the playground, without sacrificing the sound. Featuring Apple product controls, these Nixon Trooper headphones are sure to please. 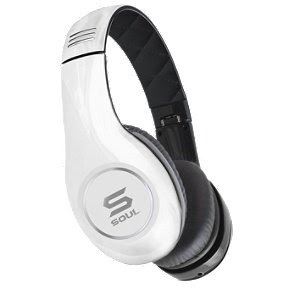 Soul by Ludacris SL150 - Brand New Soul by Ludacris headphones, feature the perfect combination of incredible styling and high definition sound. The SL150’s emphasize a deep powerful bass ideal for Hip Hop/Rap and clear mids and highs for Rock, Pop, or whatever the favorite flavor of the week might be. London Startup Scirra Launches HTML5 Game Creator — No Programming Required A new HTML5 game maker for Windows allows everybody to make games by replacing programming with a visual editor. Scirra has announced release of its new game creator, Construct 2. Games can now be made in Construct 2 using its visual interface without the user needing technical skills, Scirra has announced. 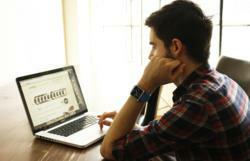 It also serves as a rapid prototyping tool for advanced game developers. Users define their game logic by creating blocks called "events", which are intuitively readable. Animations, sounds and special effects can be dragged and dropped into the editor to complete the games. HTML5 games can be played in any modern web browser including on iOS, Android, Windows, Mac and Linux. The free edition of Construct 2 comes with original music, sounds and art to inspire new game creators. The $32 "Standard Early-Adopter" license adds features and more media, and there are extra options for businesses. WMA To MP3 – Convert WMA to MP3 Format Swiftly and Free - Wma-to-mp3.org releases WMA To MP3 10.0.1, a new freeware audio converter to convert WMA to MP3 format and vice versa. wma-to-mp3.org, an innovative media solutions provider, announces the release of WMA To MP3 10.0.1, a cutting-edge freeware audio converter to convert WMA to MP3 format and vice versa. WMA is an audio compression technology developed by Microsoft to compete with popular audio formats like MP3 and Real Audio. Having said that, WMA has a wide presence too, for example, it is the only audio format supported by the Windows 7 system sound recorder. Unfortunately, it did not achieve the popularity growth due to DRM hassles and MP3 still continues to be the most popular music file format across the world. People with MP3 players sometimes face issues because the player won’t play WMA files. WMA To MP3 is an application to help people out of this dilemma.“We decide to launch the application to provide an easy, effective yet free solution to help people convert between the most popular two audio formats (WMA and MP3) on Windows platform.” said Anthony Leo, PR Manager of wma-to-mp3.org. Nowadays, multi-core CPU dominates the PC market and mainstream computer runs faster and more smoothly than ever before. WMA To MP3 is well optimized to embrace the new era of parallel computing. It is ready for cutting-edge technologies like as SSE, Hyper-Threading and capable of fully unleashing the potential power of multi-core CPUs. WMA To MP3 runs much faster on multi-core systems and it makes the WMA to MP3 conversion more expeditious & timesaving. “According to our tests, the converting speed is over 200x on some new computers, that is to say, it is capable of converting a 45 minutes album of WMA files to MP3 within 15 seconds! If WMA To MP3 10.0.1 is not the fastest WMA to MP3 converter available, at least, it should be one of them.” stated Anthony Leo, PR Manager of wma-to-mp3.org. Kicker iK150 iPhone Alarm Clock Reviewed by iPhone Speaker Reviews - The iK150, Kicker's newest iPhone Alarm Clock, was reviewed by iPhone Speaker Reviews. The iK150 scored well because of it’s great sound and construction. iPhone Speaker Reviews (iphonespeakerreviews.com), known for their dedication to all things related to iPhone Speakers, is pleased to announce their latest addition: Kicker iK150 iPhone Alarm Clock Review. This is the first Kicker system they have reviewed and it received high marks. 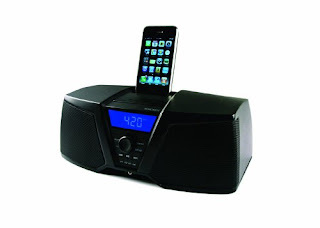 David Blane, Editor for iPhone Speaker Reviews said, “iPhone alarm clocks are a very specific type of iPhone Speaker. They combine alarm clock functionality and iPhone’s music-playing capabilities for more enjoyable use of both devices. Our review covers sound, style and design, and value”. The review points out several good features of the iK150 including excellent sound, decent looks, quality build and all-around, solid performance. However, the review remarks that the system could have more modern alarm clock functionality. Predominance LLC is pleased to introduce the Tommyknocker Digital Doorbell into the consumer electronic market. The Tommyknocker operates in the high quality all digital domain and enables users to personalize their doorbell with their favorite MP3 digital audio files. The Tommyknocker utilizes USB technology and comes with a pre-loaded USB memory stick complete with a selection of sounds, wall mounting plate and wiring harness to make installation as simple as possible. The Tommyknocker website tommyknockerdoorbell.com contains dozens of additional free audio files to choose from and offers a free sound file editor to registered users. The Tommyknocker is a USB, all digital doorbell that does not need any audio cable or microphone to load sounds. MP3 sound files may be uploaded to the Tommyknocker USB memory stick via a computer with the help of our website and may be any length up to the size of the stick. The website tommyknockerdoorbell.com offers users instructions on setting up sticks, wiring diagrams and installation instructions as well as a sound editing tool. The sound editing tool is designed to enable users to select desired sections of music or favorite sounds, perhaps focusing on the introduction or main theme for a custom effect. In addition, the Tommyknocker can be used as a MP3 player capable of playing entire albums. The Tommyknocker may be wired to most existing low voltage doorbell transformers and is easily connected using the supplied wiring harness and mounting plate. 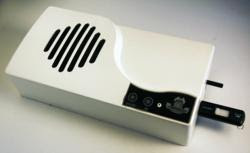 The unit is powered by a 10 watt amplifier and plays back through a quality 4” full range speaker, adjustable to 80 db. The Tommyknocker Digital Doorbell offers an exciting alternative to traditional solenoid doorbells with a large variety of sound options at the user’s fingertips. If you like gadgets and have plenty of digital audio, the Tommyknocker will give you years of enjoyment. Digital Projection Launches the Ultimate Single-chip 3D Projector at CEDIA Expo 2011 - The dVision 3D, one of the finalists for a "Best New Product" award at CEDIA 2011, delivers a flexible, powerful home theater display that's equally passive and active 3D capable. Digital Projection International (DPI), an Emmy® Award-winning manufacturer of high-performance projection systems, announces the dVision 35-1080p 3D, a dual lamp, single-chip DLP® 3D projector uniquely adaptable to both 2D and 3D applications. Equally capable of active and passive 3D, the 4,500 lumen dVision 3D delivers the most flexible, performance-driven single-chip 2D and 3D precision projector available today. Equally important are the oversized, precision optics that give the dVision 35-1080p 3D extreme installation flexibility, a welcome benefit to systems integrators. At its core, the dVision 35-1080 3D is a high performance DLP® precision display. It employs two 300 watt lamps with a user-adjustable iris, allowing optimization of black levels balanced against a maximum light output of 4500 lumens. High brightness is critical for dynamic 3D viewing, as 3D standards and optics consume the majority of any projector’s native brightness. Synchronization with 3D glasses can be done either via IR or DLP link. In addition, for larger audience 3D applications, the dVision 3D can be outfitted with an optional LCD modulator to be used in tandem with a silver screen and inexpensive passive 3D glasses. 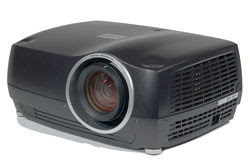 Many key features separate DPI’s dVision 35-1080p 3D from other products available in the market, but the key differentiator lies in the projector’s remarkable flexibility, uniquely adaptable to both 2D and 3D applications. Dual lamps, dual color wheels, and a unique X-port architecture make upgrading input cards a simple process. State of the art electronics allow the dVision 35-1080p 3D to accept multiple 3D formats and output at a full 1920 X 1080 pixels at up to 120Hz. Furthermore, the projector is easily optimized for 2D or 3D viewing in a variety of room lighting conditions. Combine all these features with 7 lens options and easy ceiling or table mounting and the dVision 35-1080p 3D becomes the most flexible and capable, mid-priced projector in the market. DVDVideoSoft to Launch Renewed Free 3GP Video Converter with Extended List of Supported Formats - DVDVideoSoft is launching Free 3GP Video Converter, a free and sincere application for conversion among plenty video formats. As requested by users for a long time, DVDVideoSoft has finally prepared the release of the program which features conversion among all popular video formats. Free 3GP Video Converter is a well-known application developed by DVDVideoSoft, especially for users who operate using different formats. Now the program supports conversion of all popular video formats such as *.avi, *.divx, *.mpg, *.mpeg, *.mp4, *.wmv, *.mov, *.mkv and plenty others (in total 40 formats). The same formats are received as output ones. All a user needs to do is to browse for desired files of any video format, then choose output format and desired output options and start conversion. It is possible to convert as many files at a time as desired. Advanced Preset Editor customizes video and audio settings thus making it possible to create a video with required quality depending where the user is going to playback it. Global TV shipments were soft in Q1’11 as the worldwide TV supply chain digested excess inventory, but growth was still up 1% Y/Y. In Q2’11, TV shipment growth turned negative, declining 1% Y/Y and falling more than 6% Y/Y in developed regions, which more than offset 3% growth in emerging markets according the latest DisplaySearch Quarterly Advanced Global TV Shipment and Forecast Report. Softer price declines and inventory pressure at retail due to lackluster consumer demand continue to put pressure on TV brands. LCD TV shipments worldwide grew at least 20% each quarter in 2010, but so far have only risen 9% Y/Y in Q1’11 and 6% Y/Y in Q2’11. The slowing growth has impacted both developed and emerging markets, with LCD TV units falling 5% and rising 19% respectively, both well below the rate of growth a year earlier. The main inhibitor to faster LCD TV price erosion, something that has a strong positive impact on consumer demand in the highly elastic TV market, has been the transition from CCFL to LED and slower component pricing declines. LED share increased from 18% of LCD TV shipments in Q2’10 to more than 43% in Q2’11, but still carries a 74% average premium across all sizes, though this is down from a 120%+ premium a year ago. Critical LED backlight cost breakthroughs have been slow to materialize. Sony Announces New Innovative Powerful DSLRs, B&H Photo First to Release Camera Information - Sony has announced new innovative DSLR cameras that feature fixed translucent mirrors, enabling exceptionally high-definition stills and video with zero image black-out, full-time phase-detection autofocus for stills and video, with full manual focus and exposure overrides. Sony has announced three unique 24.3MP APS-C format cameras: the Sony alpha SLT-A77, SLT-A65 and NEX-7. Sony’s new alpha SLT-A77 and SLT-A65 are second-generation DSLRs that feature fixed translucent mirrors, which makes it possible to shoot exceptionally high-definition stills and video with zero image black-out, full-time phase-detection autofocus for stills and video, with full manual focus and exposure overrides. B&H Photo is the first to release camera information. The top gun among the three cameras is the Sony alpha SLT-A77, a burly, weatherproof magnesium-alloy DSLR that—in addition to JPEG and RAW capture (up to 12 frames per second)—can also capture HD AVCHD 60p/60i/24p video, including uninterrupted sequences of up to 29 minutes in length. Other features found on the SLT-A77 include a 19-point / 11-cross AF system; ISO sensitivity levels up to 16,000; a built-in GPS for geotagging; Auto HDR and Dynamic Range Optimizer (DRO); dual memory card slots (SD/SDHC/SDXC & Memory Stick PRO Duo & PRO-HG Duo); 1200-zone evaluative exposure metering; shutter-lag times as short as 0.05 second; and up to 530 exposures per charge. The viewing system on Sony’s new top-gun SLT consists of a 3.0”, 921,000-dot hi-def, three-way tilt/swivel LCD that maintains alignment of the LCD and lens; and the world’s first 2,359,000-dot OLED electronic viewfinder (EVF), which enables clarity that simply blows away any other EVF in its class. The long-anticipated growth in size and volume of AMOLED display manufacturing is finally becoming a reality, with Samsung Mobile Display’s (SMD) ramp-up of the first Gen 5.5 AMOLED fab. The company began installing equipment in its A2 factory in December 2010 and is now expected to reach maximum capacity of 80,000 substrates per month by the end of Q1’12. As analyzed in the DisplaySearch Quarterly FPD Supply/Demand and Capital Spending Report, this development is forecast to drive growth in AMOLED capacity from 890,000 m2 in 2011 to 2.6 million m2 in 2012; capacity is expected to then double again in 2013. LCD panel makers have suffered negative net profit margins for four consecutive quarters, and with excess a-Si LCD capacity for TV production, FPD equipment spending is now forecast to fall by more than 40% in 2012. On the other hand, supply of AMOLED displays has been very tight in 2011. As SMD ramps A2, many more AMOLED displays will hit the market, and demand is expected to grow in turn. AMOLED displays are a bright spot in the FPD manufacturing industry, offering hope for FPD supply chain companies. CineSkates Compact Camera Sliders Delivers Fluid Video Shots - Cinetics™ is launching a professional-grade yet lightweight camera slider, CineSkates™, which allows filmmakers to capture stable, high-resolution video footage without lugging heavy gear. CineSkates combines cutting-edge skateboard technology with the flexible GorillaPod Focus™ Tripod, allowing the amateur or seasoned filmmaker to achieve fluid camera movement in space-constrained environments where traditional camera sliders, dollies and cranes are too cumbersome. Developed in an MIT MediaLab class, CineSkates is a unique set of wheels that attach to a tripod and enable the user to put their video in motion. 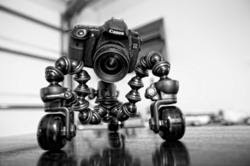 They are designed to work specifically with the GorillaPod Focus™ tripod, and a ballhead, like the BallHead X, also from JOBY®. Apple Retakes Top Mobile PC Market Share Position from HP in Q2’11 - Apple shipped over 13.5 million mobile PCs in Q2’11 for 136% Y/Y shipment growth, overtaking HP for the top spot, according to preliminary results from the latest DisplaySearch Quarterly Mobile PC Shipment and Forecast Report. Nearly 80% of Apple’s mobile PC shipments were iPads, which reached over 10.7 million units, for 107% Y/Y growth. Apple’s total mobile PC shipments (notebook and tablet PCs) were 3.9 million units more than HP’s nearly 9.7 million units for the quarter. From a category perspective, tablet PCs continue to be the engine of growth for the mobile PC industry. Tablet PC shipments were up nearly 70% Q/Q and over 400% Y/Y with nearly 16.4 million units shipped in Q2’11. Notebook PC shipments were down 2% Q/Q but up 2% Y/Y with nearly 48 million units shipped in Q2’11. A consumer notebook PC adoption slowdown continues to hold back the industry following a 2% Y/Y drop in shipments in Q1’11. Worldwide mobile PC shipments (including notebook and tablet PCs) reached 64.4 million in Q2’11, up 10% Q/Q and 28% Y/Y. Among the top five players, Acer experienced the largest decline in shipment growth. Acer’s shipment growth declined in Q2’11, falling 4% Q/Q and 12% Y/Y. In the notebook PC category, Samsung and Dell had the fastest shipment growth, up 44% and 33% Y/Y, respectively. Dell was also up Q/Q with 27% shipment growth, as it continues to take advantage of a rebound in commercial market PC shipments. Samsung’s shipments fell 16% Q/Q as it was unable to build off of strong shipment results in EMEA and China. Still Samsung was able to top Q1’11 shipment levels in North America and Asia Pacific. iPod Watch Sizzles in Red, Free for a Limited Time Only - Ordering an iPod watch band from iWatchz gets even sweeter this summer now that each order will be joined by a free limited-edition Q Collection nano band. How Can Developers Program Fun into Computer Games? - In this IEEE Software special issue, researchers from gaming companies and academia take different approaches in making sure that games are fun, but also reliable and maintainable. How can developers create fun computer games while also incorporating the right set of features and making them reliable, maintainable, and robust? 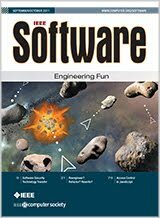 The September/October issue of IEEE Software on “Engineering Fun” tackles that challenging question from several perspectives. Properties like being addictive, providing fun, and offering social validation are imprecise—in marked contrast to the myriad technical and software elements that go into creating a game. That makes game development an active area of research both for game development companies and academics, Verbrugge and Kruszewski say. “The guest editors have done an impressive job of compiling articles that cover a gamut of issues related to the engineering underpinnings of an incredibly vibrant and economically successful domain,” said Forrest Shull, editor in chief of IEEE Software and a division director at the Fraunhofer Center for Experimental Software Engineering in Maryland. Wireless Gadgets from TP-LINK Keep Students Online for Back To School - Head to class in style with the latest and greatest wireless networking technology. As preparations for the new school year get underway, consider TP-LINK wireless networking products to ensure that students maintain a steady Internet connection for all their online activities. Students heading off to college need a solid wireless Internet connection when burning the midnight oil whether for a midterm or uploading pictures and video of their college experiences. The quality of the TP-LINK Ultimate Wireless N Gigabit Router will make this happen. This Router will keep students online so that after they’ve successfully installed the router, they can focus on research for their term paper and never have to think about the device again. For those whose homes have wireless “dead spots,” TP-LINK’s AV200 Mini Powerline Starter Kit will get these areas connected and online. Powerline technology instantly creates a secure, high-speed network using your existing electrical wiring. 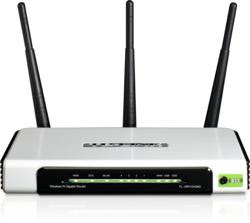 More reliable than Wi-Fi and more flexible than wired connections, its secure and stable networking connection will deliver a reliable Internet connection to areas of a home that are typically challenging to reach via Wi-Fi. For the film or video game designer student, the TP-LINK 300Mbps High Gain Wireless N USB Adapter will provide the fastest and most reliable wireless Internet connection possible to support high-bandwidth activities, like HD streaming. Because its external dual 3dBi antennas can be rotated in different directions to fit various environments, the Adapter can achieve speeds of up to 300Mbps—significantly better than your laptop’s built-in wireless card and adapters with internal antennas. Students can play online games and watch HD video without interruptions in their wireless connection. Bluelounge Launches Kicks, Protective Rubber Pads for iPad - Easy to apply versatile rubber strips to secure the longevity and beauty of the iPad. Bluelounge, the award-winning international design studio known for sleek, functional, design-forward cable management and home/office organization products, today announced the market-wide availability of Kicks, easy to use protective rubber pads for iPad. Kicks represents the latest in a series of sleek, innovative Apple related products from Bluelounge, designed specifically for Apple iPad and useful for other market wide tablets. Kicks are small, thin, rubber strips that prevent the iPad from damage and scratches. The protective rails run discreetly along the underside, slightly elevating the device from the surface, providing minimal safekeeping for your valuable life tool. Kicks uses a 3M damage-free adhesive that will not mark your iPad. Easy to apply and strong enough to remain securely in place for everyday use. Reposition and replace at-will without leaving permanent marks. The GoSmart Clip, the Most Versatile iPhone/Smartphone Holder, Launches in the UK - Customers in EU countries can now purchase the GoSmart Clip on Amazon.co.uk. GoSmart, Inc. today announced that the GoSmart Clip is now available on Amazon.co.uk (tinyurl.com/3mvsdpj), making it easy for customers in EU countries to purchase the unique smartphone holder. The GoSmart Clip is a universal cellphone, iPhone, smartphone holder that fits most mobile devices on the market today. Its simple design secures virtually anywhere, allowing people to use their hands for other things than holding their phones. Take it while traveling in rental cars and use the GPS apps on a smartphone for directions or the built in speakers to talk hands free. Secure it to a backpack, suitcase, or shoulder bag and watch a video while waiting at the airport. Fasten it to a cardio machine and listen to music while working out. Attach it to the strap or handle of a purse or shoulder bag for easy access to the cell phone. “We are truly excited to have the GoSmart Clip available for our customers in Europe. We have been getting requests from our customers in Europe, and now, they can purchase the GoSmart Clip through UK’s largest online retailer,” says Jae Son, Ph.D, founder of the GoSmart Clip. Patents Approved for Holovision(TM) Glasses-Free 3D Display - Holovisions LLC, a Minnesota-based company developing new technologies for glasses-free 3D display with full motion parallax, is pleased to announce the approval of three new U.S. patents (7,889,425, 7,957,061, and 7,978,407) enabling its Holovision™ 3D display technology. Unlike most methods of 3D display, Holovision™ does not require special eyewear and can potentially provide full motion parallax for multiple viewers in many directions throughout a wide viewing zone, can produce non-transparent images, and can create large-scale displays. The first patent underlying Holovision™ technology is U.S. patent 7,889,425 -- “Device with array of spinning microlenses to display three-dimensional images”. Each spinning microlens in this device redirects light rays from one or more small image elements. Different content is seen from different viewing angles. The image contents displayed by small image elements are coordinated with the movement of the spinning microlenses, through which these image contents are directed, to form a pattern of light rays with the proper content and directionality so as to create the perception of 3D images. The second patent underlying Holovision™ technology is U.S. patent 7,957,061 -- “Device with array of tilting microcolumns to display three-dimensional images.” Each tilting microcolumn in this device allows the passage of light from one pixel. The interior of the microcolumn allows the passage of light, but the wall blocks or reflects light. 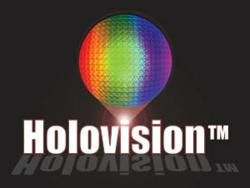 The third patent underlying Holovision™ technology is U.S. patent 7,978,407 -- “Holovision™ 3D imaging with rotating light-emitting members.” Changes in the content of light rays from the light-emitting members are coordinated with changes in the directions of these light rays so that viewers in different positions can see appropriate three-dimensional images. OKW has extended its innovative SOFT-CASE handheld enclosures range with the new size XL series to meet growing demand from electronics designers. These new XL models have been designed for larger mobile electronics such as wide-format LCDs and keypads. Typical applications will include handheld instrumentation; medical devices; mobile data logging and data capture equipment plus much more. OKW SOFT-CASE hand held enclosures have been designed to enhance the visual impact and tactile quality of modern electronic devices. With the addition of the XL series there are now four standard sizes of the popular ABS enclosures: 3.27” x 2.01” x 0.55” (S), 4.13” x 2.56” x 0.75” (M), 4.56” x 2.87” x 0.94” mm (L), 5.91” x 3.62” x 1.10” (XL). 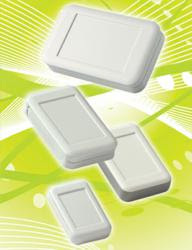 The top part of each SOFT-CASE has a wide recessed area for locating a display or membrane keypad. Also, a raised panel on the long edge of the base part is provided for USB, power or serial connectors and controls. 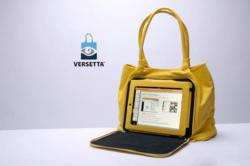 Versetta® Handbags and Cases Deliver Form and Fashion for Today’s iPad® Users - Scott Creations LLC is pleased to announce the availability of Versetta handbags and cases. Versetta bags are designed specifically to make carrying and interacting with your iPad simple and intuitive—like it was supposed to be! Each bag features an incorporated frame, with a protective flap, which securely holds the iPad (version 1 or 2). Once the flap is opened, the iPad, and it’s ports, can be accessed without removing it from the bag. While the benefit of having your iPad bag double as a work station is obvious, it's Versetta’s style and color choices that are exciting customers. Whatever one's personal preference in bags – purse, tote, satchel, hobo, attaché - there's a Versetta bag available, in colors ranging from business black and brown to turquoise, pink, sunny yellow and trendy coral. The Prima collection is a line of women’s fashion handbags in sought-after colors and styles. Women who appreciate fashion and technology will appreciate the freedom from frumpy, stuffy laptop bags, and will love Versetta handbags’ quality construction, material and hardware. “No longer do women have to dig in their purse to find their tablet, nor do they have to carry a separate bag to carry their iPad safely and securely”, stated Susan Scott, founder of Scott Creations LLC. The Affari collection is classic designs for professionals who have embraced today’s technology. Lawyers, executives, realtors, road warriors and medical reps will welcome the ability to work on-the-go. All bags have an exterior compartment with a frame to hold your iPad® 1 or 2 securely. The padded protective flap keeps the iPad safe and discreet when not in use. NextComputing, a leading provider of portable workstations and dense, small-footprint servers, announces a new rugged portable server solution for forward deployed military environments or any remote location that requires enterprise computing resources. The Vigor EX-B is NextComputing’s first completely battery-powered and fully mobile rugged server, able to run on its own internal power for up to 4 hours. 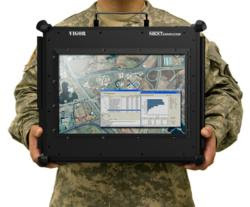 Designed to support tactical operations centers and other mission-critical environments, the Vigor EX-B is the ideal platform for delivering virtualized “local cloud” computing services to multiple users in a remote setting. As cloud computing continues to grow across multiple industries, off-site operations are often seeking solutions to provide these types of services in the field. While traditional rackmount servers can do the job, these systems and their associated rack infrastructure – including power conditioning, switching, KVM, etc. – are often impractical in a tactical environment where size, weight, power and mobility are important factors. Electrical power is usually unreliable in these situations, and a typical UPS (Uninterrupted Power Supply) can only run a server for a very short period of time. And though laptops are usually the preferred platform for client systems, these computers are not up to the task of running multiple concurrent applications and operating systems with virtualization – a requirement for deploying cloud services. New Timex Ironman Run Trainer GPS Watch - So Fly Every day good looks in a sleek package, fast satellite acquisition, soft chest strap and more make the new Timex Ironman Run Trainer the best GPS watch release from Timex ever. This is must have kit if you are a serious runner or an aspiring runner looking to improve. Our test team at the Heart Rate Watch Company have been a touch suspect of the Timex GPS watch solutions until recently, but with the recent Timex Run Trainer we do believe they have once and for all got it right. By right we mean built-in GPS, not the dimensions of a small cooler, appears to be an every day watch, has an reasonable selling price, doesn't take 5 minutes to receive satellites, and integrates by means of Training Peaks Online Log. 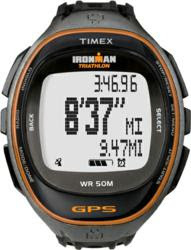 Thanks to Timex rolling out the Ironman Run Trainer in October of 2011 and offering a under $200 runners GPS watch, this particular heart rate monitor seems positioned to do very well this Christmas. This Timex offers up to 5 programmable repeating timers with labels. This heart rate monitor offers a recuperation timer using a user defined time-span, which seems like a pretty cool attribute. We certainly have always advocated for measuring recuperation to determine how conditioning has improved. Bluelounge Launches MiniDock Home and Travel iPhone/iPod Wall Charger and Display-Docking Station - Cord-free and compact, MiniDock simplifies travel and household charging needs. 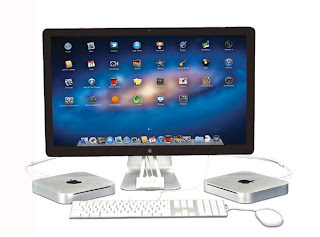 Bluelounge, the award-winning international design studio known for sleek, functional, design-forward cable management and home/office organization products, today announced the market-wide availability of MiniDock, a cord-free wall charger and display-docking station made for Apple iPhone and iPod devices that uses the existing Apple USB Power Adapter. MiniDock represents the latest in a series of sleek, innovative cord management products from Bluelounge, all designed specifically for Apple iPhones and essential for travel and household charging needs. MiniDock allows consumers to charge and display their iPhone in an upright position in any electrical outlet without disorganized cords. Intended for use with existing Apple USB Power Adapter, iPhone or iPod can now plug directly into an electrical outlet. Ideal while traveling or in any home or office environment, MiniDock is lightweight, cord-free, and allows users to simplify and de-clutter the charging areas normally occupied with the unsightly and wayward cords. Users no longer need to deal with untidy cords while packing or when charging their device. With MiniDock, the user can charge their Apple devices upright, directly into their Apple USB Power Adapter, conveniently and seamlessly anywhere where an electric outlet is available. Consumers Don’t Know What “Cloud Computing” Is, Even Though They Use it All the Time - While the term “cloud computing” is still confusing to many, the activities that constitute cloud computing are being performed by the vast majority of consumers, according to the NPD Group. According to a recent study from The NPD Group, a leading market research company, just 22 percent of U.S. consumers were familiar with the term “cloud computing,” which denotes software applications or processes that are accessed from the Internet, rather than on personal computer hard drives. While the term “cloud computing” is still confusing to many consumers, the activities that constitute cloud computing are being performed by the vast majority of consumers. More than three quarters (76 percent) of U.S. respondents in NPD’s “Digital Software and the Cloud Report” reported using some type of Internet-based cloud service in the past 12 months -- with email, tax preparation and online gaming leading the way. Even so, the enormous usage of these cloud-based services has not completely supplanted desktop-computer-based applications: Nearly one quarter (24 percent) of U.S. consumers reported purchasing a computer-based software application in the past six months. Free Personal Computer Workshop at CDI College in Abbotsford - CDI College technology staff and students will be on hand to diagnose your personal computer problems. CDI College in Abbotsford is offering the public a free Personal Computer Workshop on August 17, 2011 from 1:00-7:00pm. All members of the community are invited to bring along their personal computers and drop by CDI College’s Abbotsford campus for this free event. IT staff and students from CDI’s School of Technology will be on hand to help address any technical issues and provide advice on computer repairs and maintenance. This is a great opportunity to receive some technical support without the high costs of computer repair shops. For those who might be interested in pursuing a career as an IT professional, the upcoming Personal Computer Workshop will also provide information about CDI’s technology programs and job opportunities for graduates. Technology professionals are in demand, especially those that have up-to-date knowledge and skills in the industry’s leading software and processes. The School of Technology at CDI College provides students with quality, industry-leading training and a variety of training options that will open the door to numerous job opportunities. 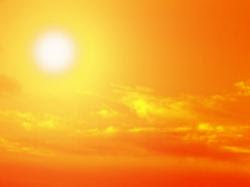 24 Hour Data Recovery Service Says Protect Data In the Record Heat This Summer - Avoid the need for 24 Hour Data Recovery Services by protecting your data from high temps this summer. The entire country is facing record high temperatures this summer, with 1,479 daily records for highest temperatures broken in various parts of the country. Abilene, Tex., holds the record for the most 100-degree days, with 47 through the end of July. And we've just hit August, the so-called “dog days” of summer. You don't need a data recovery expert to tell you that heat is bad for electronics. That's why laptop and desktop PC computers and Macs have cooling fans, and computers and servers should always be run in an air-conditioned environment during the summer. Computers and servers not only give off their own heat, they can fall victim to outside temperatures, as well. Typically, the larger a computer component -- such as a RAID server -- the more heat it gives off, so proper cooling measures become even more important. “101, 102, 104... These hot temperatures are no joke to business owners, entrepreneurs, and busy families who store their entire lives on their PC, MacBook, netbook or smartphone,” says 24 Hour Data owner Sean Wade. 24 Hour Data is a full-service, 24-hour expert data recovery company based in Plano, Texas, and serving the Dallas-Fort Worth area and the entire U.S. 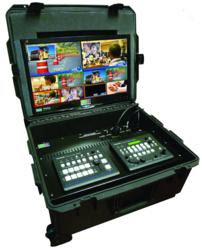 Mobile Studios Releases New PortaCast® Mini Flypack: Portable and Affordable Solution for Multicam HD/SD Production and Live Streaming - Mobile Studios, Inc. responds to a growing need for a value priced live production system that can be easily transported to remote locations with the release of its new PortaCast® Mini-Flypack. Mobile Studios announces the release of its new PortaCast® Mini-Flypack in response to a growing demand for a compact, powerful and affordable multi-cam live production system. A video switcher with 4 HD/SD-SDI inputs and a 1 scalable DVI input for computers is at the heart of the suitcase size flypack. All Inputs, Next Source and Program are displayed on an integrated hi-res 22” LED monitor with 1920 x 1080 resolution. The system includes a down-stream CG keyer and PC software application that transfers graphic overlays with full alpha channels to the switcher's down-stream keyer via LAN port connections. All inputs and outputs are conveniently located on an internal patch panel for easy access. The internal components are shock-mounted and protected by a rugged but lightweight waterproof rolling case with pull-out handle. According to Mobile Studios President, Rich Rubin, "The new PortaCast® Mini-Flypack was developed in response to many requests for a compact and affordable mini-flypack for live production and streaming that could be easily transported to remote locations." An optional integrated streaming module for the PortaCast® Mini-Flypack is available with advanced H.264 High Profile (Level 4.1) video compression and built-in scaling to convert 1080, 720 or 480 inputs to target resolutions with end-to-end latency at approximately 1/8-1/2 second. The streaming module includes an audio mixer with two line or microphone inputs and integrates natively with most streaming services for viewing on any cloud device including iPhones, iPads, PCs and Macs. Streams can be automatically archived for on-demand viewing too. 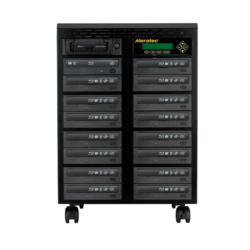 Aleratec Launches New 15-Target Blu-ray/DVD/CD Duplicator with LightScribe - This professional grade device allows users to simultaneously copy up to a whopping 15 Blu-ray, DVD or CD discs, or laser-etch 15 DVD or CD LightScribe labels, at a time. Aleratec continues to make Blu-ray duplication faster and more efficient. Today it adds a 15-target standalone Blu-ray duplicator to its award-winning line of optical disc Lightscribe duplicators. This professional grade device allows users to simultaneously copy up to a whopping 15 Blu-ray, DVD or CD discs, or laser-etch 15 DVD or CD LightScribe labels, at a time. The unit can be connected to a PC via USB2.0 cable for access to the duplicator’s internal hard drive. In PC-Connect mode, users can simply drag and drop disc image and label files directly into the duplicator and be running duplication jobs in no time. The duplicator’s simple, intuitive interface includes “Fast Keys” that give instant access to common functions. 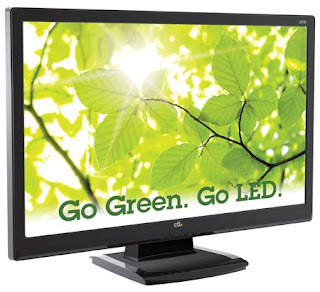 CTL Introduces New LED Monitors - CTL today announced their plans to add three new LED monitors to their display line. The 22” class LP2151, the 24” class LP2361 and 27” LP2701 will join the 22” LP2150 and the 23” LP2300 in CTL’s LED monitor lineup. These state of the art monitors feature the same image quality as an HDTV, with a 16:9 display ratio, 1000:1 contrast ratio and 1920 x 1080 pixel resolution as well as HDMI, DVI and analog inputs. The LP2151, LP2361 and LP2701 are Energy Star rated and Epeat certified making them environmentally friendly, and they use just 40% of the energy a standard monitor would. With a professional finish and anti-glare coating, the LP2151, LP2361 and LP2701 are versatile monitors for any environment. And these monitors present a super-slim design with a profile about 1/4 the size of traditional LCD monitors, allowing users to save space while creating a clean modern look. Additionally, these new LED monitors are all VESA mountable increasing their functionality. Drift HD, The Only Helmet Camera With Wireless Remote Now Available at Pointofviewcameras.com - Drift HD is the latest and smallest action camera from Drift Innovation. This portable helmet camera comes with a wireless remote and the industry's first 9mp still image capture. It includes 1080p resolution and a built in LCD preview screen for fast and easy video previews. The popularity of helmet mounted cameras used by sports enthusiasts has exploded in the last few years. Throughout this time Drift Innovation has been at the forefront of action camera technological advances. 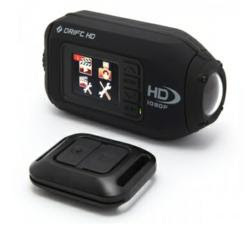 The new Drift HD available at pointofviewcameras.com brings never before seen features to the helmet camera category. Drift Innovation's Drift line of wearable camcorders for the action sports crowd combines ultra sharp HD recording in a rugged case and flexible mounting system. The new compact Drift HD is the the culmination of Drift's past few years of camera innovation. The Drift HD is now one of the smallest helmet cameras with a built in LCD screen. The durable, easy-to-use Drift HD camera elevates the point of view camera market with the most feature-rich, multi-functional helmet camera available to date. Kanex, maker of audio-visual solutions for Apple computers, is excited to unveil the new SnapX two port switcher designed specifically for 24 and 27 inch Apple LED Cinema Displays (ACD). The compact and USB powered SnapX allows users to easily toggle between two different Mac computers including Macbook Air, Mac mini, Macbook Pro, and new Mac models with Thunderbolt through the ACD. The plug and play SnapX features two mini DisplayPorts and two USB ports. Simply plug in both Mac computers to the built-in 5ft mini DisplayPort and USB cables. Users then plug in the ACD native display cables to the SnapX. Once linked, users are able to utilize the iSight camera and direct the audio of the connected computers through the ACD speakers without altering the audio or video quality. The user friendly one button design allows users to effortlessly switch between both sources. The SnapX features an ergonomic, sleek, clip-on design which fits snuggly on the bottom of the ACD stand. Additionally, the SnapX organizes all wires neatly behind the display providing a clutter-free environment. This also reduces stress on the connectors preventing intermittent signal loss due to loose cable connections. CTL Presents the All-in-One 650 PC - Portland, Oregon's CTL™ introduced their new All-in-One 650 and 650T today. Built around Intel’s new Thin Mini-iTX standard, CTL’s new All-in-One 650 combines the latest in platform standardization with unparalleled flexibility in an All-in-One form factor. Building on this new platform standardization CTL is able to provide customers with the flexibility and customization they demand. 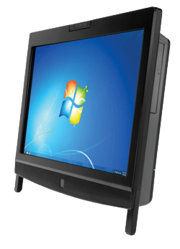 With a slim sleek design, the CTL All-in-One 650 is an attractive alternative to the standard desktop set up. The small footprint and elimination of peripheral cabling makes the CTL All-in-One 650 a natural choice for call centers, libraries, school computer labs, home desktops and anywhere else that space is at a premium. Marware Releases Multi-Functional iPhone 4 Case Designed to Meet the Demands of Any Situation - Marware offers a variety of accessories and cases for mobile devices, including the multi-functional SportShell Convertible iPhone 4 Case. The versatile case is designed to meet the demands of any situation and reflects Marware’s commitment to innovation with an emphasis on quality over pricing. Marware releases the SportShell Convertible iPhone 4 Case designed for maximum versatility and functionality. It is now available for purchase directly from Marware. Finding the right case to take advantage of all these features can be tricky. 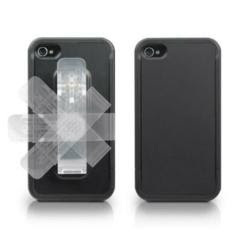 Some iPhone 4 fans have resorted to purchasing multiple cases, each designed for a specific use, while others have discovered the multi-functional and extremely versatile SportShell Covertible iPhone 4 Case by Marware. New iPod nano® Watch Band Colors Released Just in Time for Back to School - An iPod nano watch, with iWatchz new colored bands, gets students to school on time and in style. iPod nano watch bands in iWatchz Q Collection are currently featured in Apple’s Back to School Gift Guide. iWatchz iPod nano watch bands, now available in a new array of vibrant colors, make great back to school gifts. They transform any 6th generation nano into a stylish arm accessory. Three versatile Collections are offered to fit the needs of even the most demanding pupil. Consider the Q Collection for the sporty student. This iPod nano watch strap is composed of silicone so it will remain unharmed by moisture. Great for after-school sports, and those workouts at the campus gym, Q nano bands are also streamlined to not interfere with fast or precision movements. Available in 8 colors, the Q Collection makes it easy to match the color of any school jersey. Behlman Power Supplies Help Extend Useful Life of U.S. Navy UYQ-21(V) Display System Consoles - High-voltage Model 94020 and Low/Medium-voltage Model 94053 power supplies replace OEM units to prevent system obsolescence. These displays are used with the computer display systems for surface ships. Since the initial procurements for the U.S. Navy began in 1982, the UYQ-21(V) U.S. 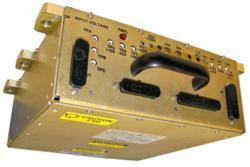 Naval Tactical Display System (NTDS) console has been the standard for many of the U.S. Navy’s surface vessels. U.S. ship classes that have been equipped with the UYQ-21(V) include the CG-47 Ticonderoga class AEGIS cruisers; DDG-51 Arleigh Burke class AEGIS destroyers; FFG-7 Oliver Hazard Perry class frigates; LHD-1 Wasp class amphibious assault ships; and CVN-68 Nimitz aircraft carriers. It is estimated that more than 3,500 consoles were produced before production stopped in 2002. Marware: Now Shipping Sleek, Smart Cover-Compatible iPad 2 Case - Marware offers a variety of accessories and cases for mobile devices, including the durable MicroShell iPad 2 Case. The sleek case design is a perfect fit for the iPad 2 Smart Cover and reflects Marware’s commitment to innovation with an emphasis on quality over pricing. 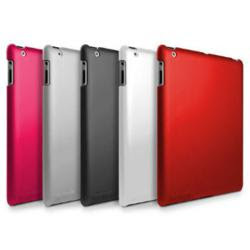 The Smart Cover compatible MicroShell iPad 2 Case by Marware is now shipping directly to customers eager to protect their investment with a durable backing. Clearly, many consumers agree with this assessment; however, protecting the lightweight tablet from daily wear and tear requires an effective design, one created to work in conjunction with the manufacturer’s accessories, like Apple’s Smart Cover. 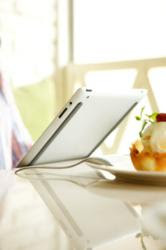 The MicroShell iPad 2 Case by Marware is just such a case created with a shock-absorbing polycarbonate shell designed to protect the back of the tablet while working in partnership with the Smart Cover. This sophisticated case is available in five different colors offering style and solid protection without hampering the tablet’s functioning. The 3.6 ounce MicroShell is a sleek 1.7mm thick with cutouts specifically created to provide easy access to all of the tablet’s charging and syncing buttons and ports.